His supporters met in 20 cities across the country to secure the signatures. 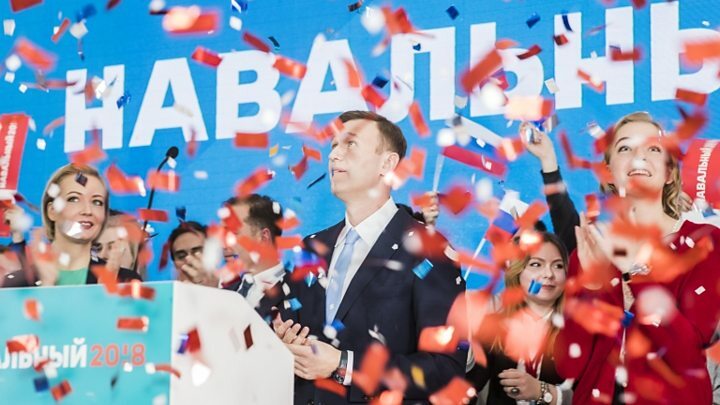 Mr Navalny is still unlikely to run as election officials ruled him ineligible due to a corruption conviction which he says is politically motivated. Mr Navalny spoke at the Moscow gathering, branding Mr Putin a "bad president". He told his supporters in a marquee on a snowy riverbank that he would call a boycott of the election if he were not allowed to stand. Mr Navalny is widely regarded as the only candidate with a chance of challenging the president, who is seeking a fourth term that would see him become the longest-serving Russian leader since Joseph Stalin. Russian socialite and TV presenter Ksenia Sobchak is standing in the election but some - including Mr Navalny - regard her as a "Kremlin stooge".